Born in the psychedelic Californian counterculture of the 1960s, the Brotherhood and its allies were going to transform the world with LSD. In a few short years they spanned the globe in a secret underground society which generated hundreds of millions of dollars, changed thousands of lives and planned to turn a Pacific island into the world's first LSD-based state. Here is a unique and fascinating investigation of the links between idealistic counterculture outlaws and a darker world of crime and international terrorism. It is a modern morality tale of a dream soured by betrayal and corruption. Set in America, Europe, and Asia, it is also the story of secret police operations in nine countries which finally broke the clandesting network. But while the Brotherhood has gone, their legacy--an illicit drugs industry--remains. 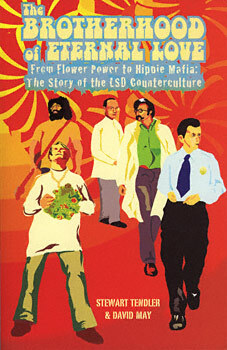 "The Brotherhood of Eternal Love is the classic untold story of the psychedelic underground and an enthralling read. Unputdownable."